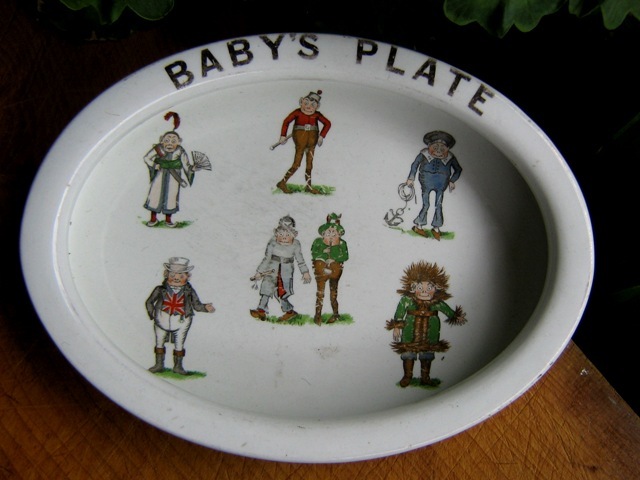 Here is a lovely baby's plate I have just sold.. it features the famous Brownie characters. 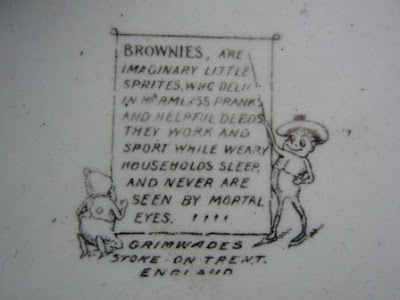 Brownie's are a type of Hobgoblin who secretly help around the house at night. This is also where the junior branch of the girl guides name comes from. During the late 19th and early 20th century, Palmer Cox, Canadian illustrator created a series of books which became very popular. This is where the illustrations on this plate come from. As you can see from the back stamp, this plate is made by Grimwades of Stoke on Trent.